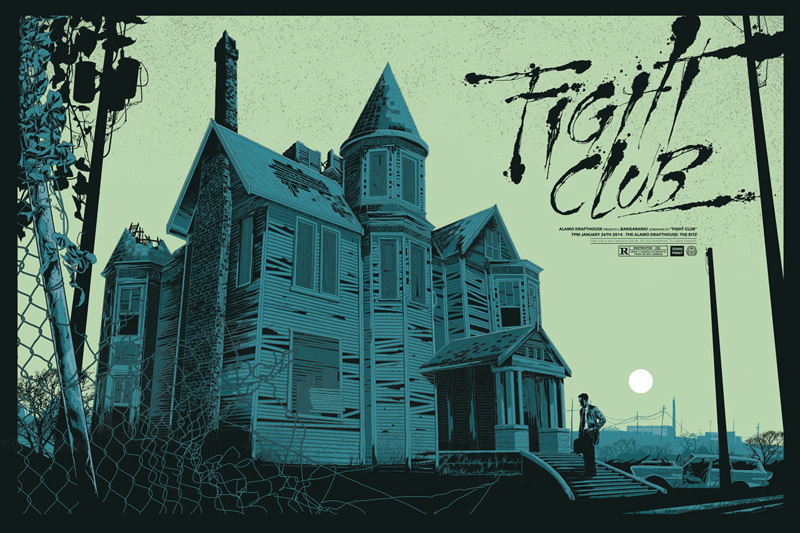 Not too long ago we featured an awesome piece of Mondo artwork from Ken Taylor that was crafted to commemorate Alfonso Cuarón's spectacular sci-fi film Children of Men. The piece was unveiled to tease a special gallery show, "The Art of Ken Taylor" that will highlight tons more pieces from one of the collectible arthouse's most frequently used talents. Taylor previously released pieces for films like Thor: The Dark World last year, Jurassic Park at the beginning of 2013 and Drive back in 2012. Now we've been given the chance to exclusively debut his awesome piece for David Fincher's incredible Fight Club. Check it out! The regular (top) print is sized at 24×36 with an edition of 400 while the variant is sized at 24×36 with an edition of 175. As for Taylor's show, Mondo presents “The Art of Ken Taylor” at their gallery in Austin, running from May 30th through June 21st. The opening night event will be Friday, May 30th from 7 – 10pm at the Mondo Gallery, located at 4115 Guadalupe St. in Austin, TX. Artist Ken Taylor will fly in from Australia and says, "Flying halfway across the world to exhibit my work for this amazing collector niche still blows my mind every day. This is the culmination of many months of hard work and stress (but more importantly, fun), and I can’t wait to show it all." 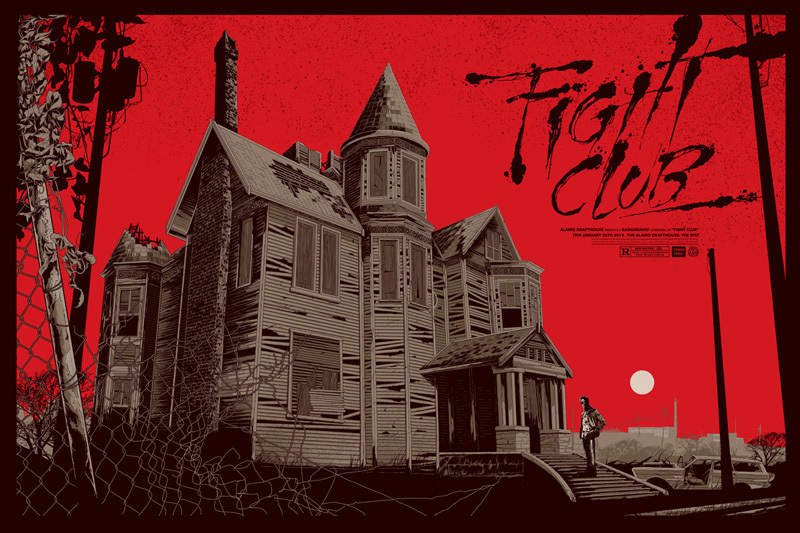 Check out Taylor's previous Mondo work at their archives.